Just a quick note to let you all know about upcoming class in using the Jamaican records at the London Family History Centre. Just a quick note to let know on on Tuesday 22 September there’s a talk on the Jamaican Records held at the London Family History Centre at 2pm. The talk will last about an hour and is an introduction on how to use the Jamaican records parish and civil records held at Exhibition Road. Here’s an example the Jamaican records that Paul Crooks was able to find at the London Family History Centre. We search the records and compile a list of names, dates and somewhat unreliable ages; possibly an occupation, planter being a common one, which could mean anything from one yam plant inna yard to several hundred acres. We look with envy to those celebrities on ‘Who Do You Think You Are’, and the colourful facts uncovered. We want the dry facts to leap off the page – we want to know who our ancestors were and how they lived. Personally, I am yet to discover a prince, rogue, villain or saint. 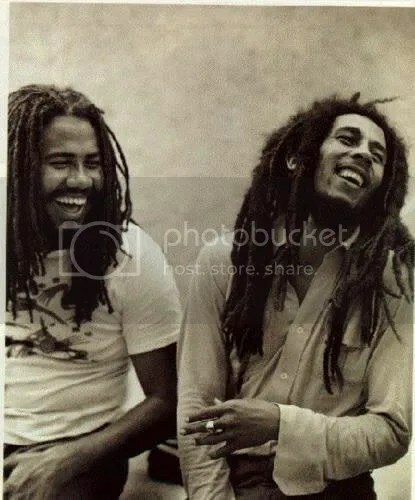 But when my parents visited from Jamaica in June, my dad casually asked my mum: ‘What was the name of your cousin the singer again?’ It turns out he was none other than Jamaica’s very own reggae singer Jacob Miller. At this stage, there is little I can say about him that isn’t already known – except that he definitely wasn’t born in 1960, as some sources assert. My mother left Jamaica in 1960, and she remembers Jakey as ‘a sweet little boy playing in the yard’. I am now corresponding with my aunt who grew up with him. She was delighted when I told her I wanted to write about Jakey. As soon as I find out anything interesting, I will share it. The relevance of this to all you family researchers out there is: when questioning relatives, be persistent and don’t take ‘I don’t remember’ for an answer. Otherwise when you finally hear something interesting and you wonder why they didn’t tell you before, the invariable answer is ‘You never asked’. The first banner of the Caribbean Family History Group blog comes courtesy of my very cantankerous Great-Aunt Sissy (4th from the right) who was born in the parish of St Thomas. I won’t use her full name because Aunty says she doesn’t famous enough without publicity!! This picture was taken at Norman Manley Airport in 1959 just before she boarded the plane to London. The two women wearing hats to her left are her sisters Polly and Val. 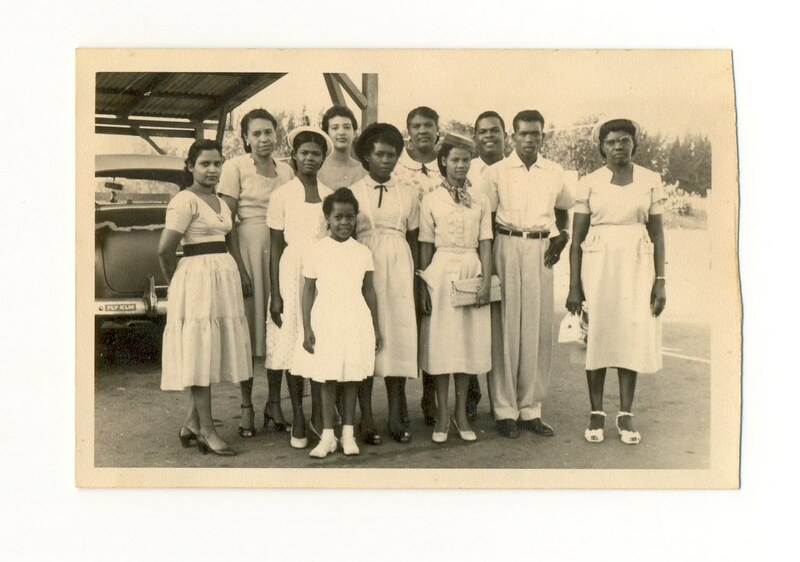 I came across My Jamaican Family a beautifully written and illustrated blog, by Jamaican-Canadian librarian Dorothy Kew, exploring the history of her family in Jamaica. The blog includes fascinating tales of growing up in New Kingston and train trips into the country. This post about using the LDS Family History Centre microfilm ( the Hyde Park Family History Centre in South Kensington would have the same records) and online records of the Jamaican Gleaner Newspaper Archive are particullay useful especially for those interested in research. Well worth a visit. The Ellis Island Foundation website is useful not only if your Caribbean ancestors migrated to the USA, but also for a general ancestor search. 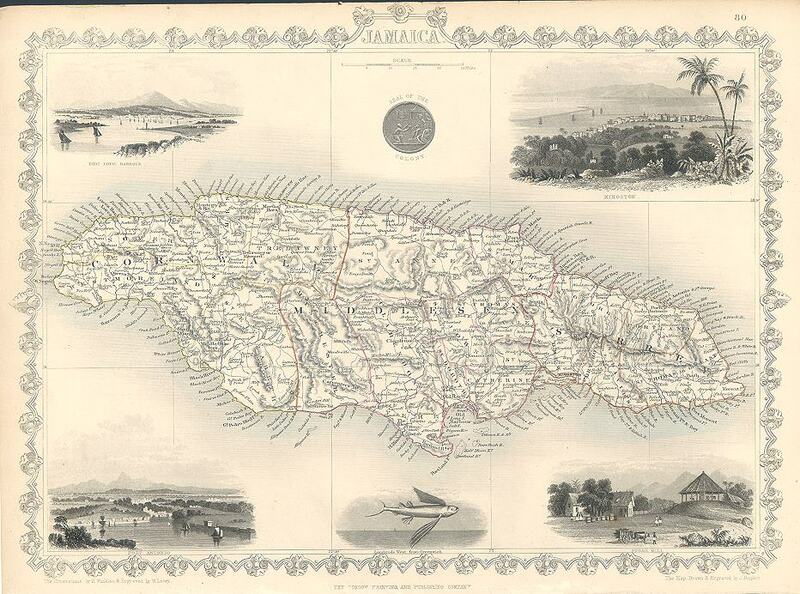 Given how near the two regions are (a mere five days by steamship!) many Caribbean travellers simply visited and returned. And as the Ship’s Manifest records detailed information about each passenger, it’s a great starting point. Procedure: Enter your ancestor’s name, gender and approx. year of birth. A list of possible matches will (hopefully) appear from which you may select the following: Passenger Record, Ship’s Manifest1, Original Ship’s Manifest2 and Ship Info. You will need to log in, but registering is free. If nothing comes up, try omitting a first name, varying the possible dates and even the spelling of your surname – spellings were pretty random in the past, and mistakes common. The Ship’s Manifest is particularly useful as it records details such as the passenger’s name, age, marital status, ethnic origin, country of residence and address in the States. Both the Ship’s Manifest and Passenger Record may be viewed for free, or hard copies purchased from the Foundation. As a registered member, any additional information you have about the passenger may be added on the Create an Annotation page, for other users to see. extract courtesy of Statue of Liberty-Ellis Island Foundation, Inc. He travelled with five other family members (Nos. 2–7) and stayed with a Mrs. Alalia Joyce of 308 West 119th St., NY. The record shows she is his aunt, and the mother of Adrian and Evelyn Joyce (Nos. 6 & 7). It would appear that Alalia Joyce is my great grandfather’s sister. I do not know who Frances Johnston is (No. 2), but the scribble that looks like ‘dght’ could be daughter, meaning that Alalia is her daughter, therefore she herself would be my great grandfather’s mother. If so, then I have managed to go back one more generation without expecting to! I definitely recommend this site. It is easy to use and has yielded exciting clues into my ancestry. Having heard about the centre in South Kensington some time ago at a presentation at the British Museum about tracing your Caribbean roots, I decided to check it out. The attendants there were all friendly and showed me the catalogues of the microfiche records they held. In order to make any real progress one needs certain information about the person/s you are researching. If they are from Jamaica, you need to know both the Parish and the district within the Parish e.g Manchester (Mandeville) or Portland (Moore Town), their actual official name (Jamaicans tend to be known by a different name from which they we registered at birth) and the period within two or three years that you are researching e.g. according to your knowledge they were born between 1924 and 1926. Without these three pieces of information you are searching for a needle in a haystack. Family members may be able to give you some of the relevant information. You need to realise that Jamaicans in the past (it may be true of other Caribbean countries) may not have always kept accurate records. A death register may suggest that someone was 65 when they died but looking at the marriage certificate it suggests they were 68 when they died. Your grandmmother’s name was Jane White but her real name was Icinda but should could be registered by her middle name which may have been Vernice.They may also have been more than one Jane White in the district. This all makes researching at the centre potentially frustrating and you may need to go back a few times to get what you want but when you find what you are looking for, it is very exciting. Therefore patience is needed and you need to ensure you have at least 2 hours to spend at the centre on each visit. Ensure you have a little money so if you find a record of a relative and you want to photocopy it, that you can afford to do so.